Observation - Great Black-backed Gull - UK and Ireland. 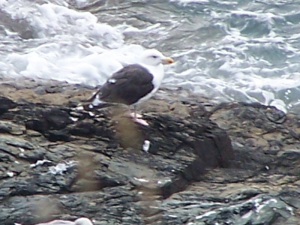 Description: Great Black-backed gull on the rocks off the Lizard peninsula. Great Black-backed gull on the rocks off the Lizard peninsula.